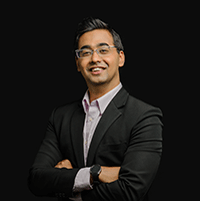 Rachit Dayal, was Singapore’s first Marketing Professional to be certified by Google as a Qualified Advertising Professional in January 2006 and a Qualified Analytics Consultant in 2009. Rachit is an honours graduate from the National University of Singapore with a major in Computer Science and a minor in Technopreneurship. He also attended the prestigious NUS Overseas Colleges program and spent one year studying marketing at the University of Pennsylvania in the USA. At Happy Marketer’s Consulting Practice, he handles all business relating to Search Engine Marketing, Web Analytics, Website Usability and Online Marketing Strategy. Rachit is also a Master Practitioner of NLP certified by Dr Richard Bandler, the founder of NLP. He is also an Advanced Communicator in the Toastmasters International Public Speaking program.